Our equipment is extensive, and it has to be to get to all the places we fish. Those having fished with other outfitters, that might not maintain or invest in good equipment, will immediately appreciate the quality of ours. Each guide is required to have a comfortable, safe, and rugged 4×4 – most choose the Toyota Hilux, and there is no other truck like it. Each guide also travels daily with a boat designed for the area. PRG Trevelin and Rio Pico guides use Northwest River Supply self-bailing rafts, and frames because they are light, durable, safe, and designed for fly fishing. PRG invented collapsible frames and a rack for the back of each truck so that boat can go anywhere – places those trailering a boat could only dream of. PRG North guides utilize mostly comfortable RO drift boats designed in Montana and our guests love fishing from them. PRG and our guides also have a fleet of motorboats with new low emission four-stroke motors enabling us to reach remote areas. Each guide carries nearly the same kit including (but not limited to): VHF radio to keep in constant communication, tackle bag loaded with hundreds of dozens of flies, tippet, leaders, extra reels and lines, first aide kit, and extra clothing in case of inclement weather. Each guide is also equipped with Simms waders, boots, hip pack, and backpack to use depending on the location, and can always pull out an extra pair of sunglasses, sunscreen, superglue, leatherman, etc. to provide for guests that might need something. Clients are outfitted with any and everything then might need for their fishing trip. We are proud to be supported by Simms and provide their high end breathable waders and boots for any guest that might not want to travel with their own. PRG also has over 40 Winston Boron IIx, IIIx, IImx, and IIIsx rods to loan to guests for the day or for the week, and Hatch Reels loaded with RIO floating and sinking lines. Each guest is also provided with a Simms dry bag to hold extra clothing, sunscreen, license, etc. 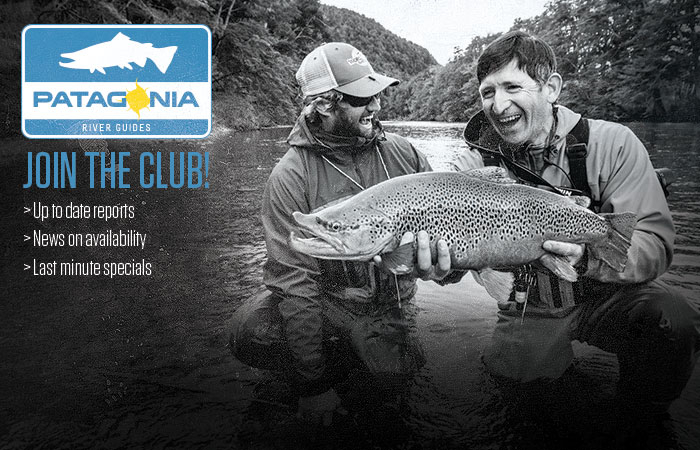 Guests should only have to pack a rain jacket, sunscreen, hat, and fishing clothing to enjoy an adventure with PRG; although, some choose to bring their own waders, rods, and reels. We encourage all guests to bring their favorite rods, reels, and custom waders, but it isn’t necessary if you are on a business trip or enjoying an extended stay and just don’t want to pack a full kit. It would be impossible to provide the ultimate fly fishing adventure without being outfitted with state of the art equipment and gear. We upgrade frequently and are constantly investing in and searching for new equipment for our guest’s comfort and safety.